Born in Tokoroa, New Zealand, Paul started playing rugby union at the age of three for Ponsonby Rugby Football Club and then rugby league for the Te Atatu Roosters. Later, during his time at Rutherford High School (1990), he became a highly talented player at under-16 level, where he led his team to break many Auckland club rugby league team and individual records. The following year, Paul moved to the Point Chevalier Pirates where he continued to harness his talents as one of the most talented junior rugby league players in the history of Auckland Rugby League. In the 1992 season he returned to Te Atatu, debuting in their senior premier team at just 18 years of age where he played an integral part in his team making the pinnacle of theAuckland Rugby League finals – the Fox Memorial Cup. That off season, Paul was selected as a utility player for the under-19 Auckland side, playing a major part in his team winning the national tournament. Following that success, Paul was selected as the Junior Kiwis captain to tour England that same off season. Paul led by example when his team looked "out of sorts", guiding them to memorable victories against their Great Britain counterparts. His form was so inspiring that he earned full New Zealand representative honours on the same tour, when the senior team the (New Zealand Kiwis) hit an injury crisis on a corresponding tour of Britain. Paul, at just 18 years of age, gained his test debut as a substitute against France. Paul's form on the Junior, and then subsequently New Zealand team tour, did not go unnoticed by astute talent scouts in England and in the off season of 1993/94 he joined the Wakefield Trinity Wildcats. He returned to New Zealand for the 1994 season, playing five matches for the Waitakere City Raiders in the new Lion Red Cup. He originally signed for the new Auckland Warriors club who were to enter the Australian Rugby League in 1995 but they released him as part of a deal that allowed Andy Platt to join Auckland from Wigan. Paul joined Wigan Warriors for the 1994–95 season and quickly established himself in the squad. At the end of Super Leagues first season, he was named at stand-off half in the 1996 Super League Dream Team. He played at stand-off half back for Wigan Warriors in their 1998 Super League Grand Final victory against Leeds Rhinos. Henry Paul played Fullback in Wigan's 40-10 victory over Warrington in the 1994–95 Regal Trophy final during the 1994–95 season at Alfred McAlpine Stadium, Huddersfield on Saturday 28 January 1995 and played Stand-off/Five-eighth, and scored 2-tries and 4-conversions in the 25-16 victory over St. Helens in the 1995–96 Regal Trophy final during the 1994–95 season at Alfred McAlpine Stadium, Huddersfield on Saturday 13 January 1996. In September 1998, at the end of his contract he moved to the Bradford Bulls. 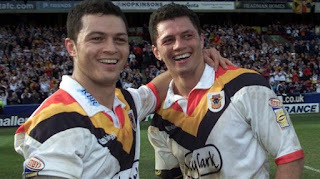 Paul played for Bradford Bulls at stand-off half back and scored his team's sole try and goal in the 1999 Super League Grand Final which was lost to St Helens RLFC. Paul was selected for the New Zealand team to compete in the end of season 1999 Rugby League Tri-Nations tournament. In the final against Australia he partnered his brother Robbie in the halves, kicking six goals in the Kiwis' 22-20 loss. He helped beat his former club Wigan in the 2001 Super League Grand Final. When he was at Bradford he set a goal kicking record for consecutive goals (35), as well as for points in a season at the club. He won the Lance Todd Trophy for his performance in the 2000 Challenge Cup victory over the Leeds Rhinos. 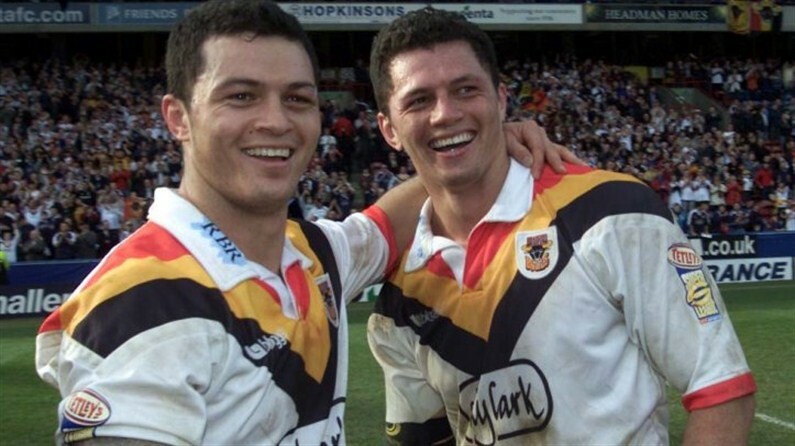 Paul played for the Bradford Bulls as his brother Robbie's halves partner, kicking four goals and one drop goal in their 2001 Super League Grand Final victory against the Wigan Warriors. In international rugby league he received 23 caps for New Zealand. Upon his return from rugby union in 2006 he qualified for both New Zealand and Great Britain. On the 27 April 2006, Paul agreed a move back to rugby league joining Harlequins Rugby League. The London side beat off competition from the Penrith Panthers to secure his signature. His brother Robbie Paul played rugby league for Salford City Reds, having played with Paul at Bradford Bulls before a spell at Huddersfield Giants. Paul faced Robbie in his first game back in 2006's Super League XI on 29 April 2006. In 2007 Paul appeared drunk at the Super League's Man of Steel Award's dinner. Paul had slurred his acceptance speech when he received the Frontline Fairplay Index Award, awarded for good behaviour on the field, on behalf of the club and Paul subsequently apologised for his actions. Paul was released from Leeds in 2010 to embark on his coaching career as he signed up as the assistant coach of Russia. Paul started his role coaching Russia at the 2010 Churchill Cup in the United States. He then coached them during the 2010-2012 European Nations Cup First Division and at the 2011 Churchill Cup held in England. Russia played some brilliant attacking rugby in their games in the Churchill Cup, coming close against Italy A and the United States. Henry took the side to the 2011 Rugby World Cup with Kingsley Jones as head coach. Russia's results did not provide a fair reflection of some of the rugby they produced. The ITV coverage stated that Russia produced two of the best tries of the weekend against Ireland, attributing to Henry's impressive coaching skills.